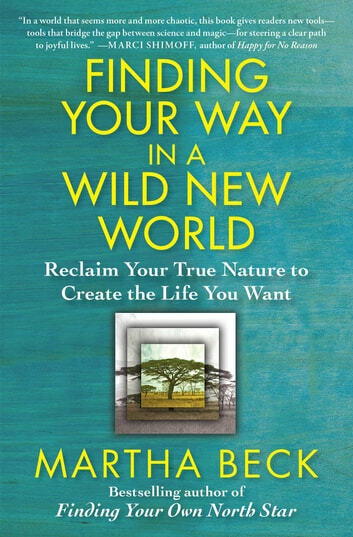 “The best known life coach in America” (Psychology Today) and bestselling author of Finding Your Own North Star provides a new transformational program for creating an unconventional life path to a sustainable way of life. Martha Beck’s program has been practiced by Oprah and featured on Super Soul Sunday! 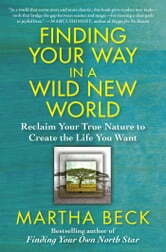 Finding Your Way in a Wild New World reveals a remarkable path to the most important discovery you can make: the knowledge of what you should be doing with your one wild and precious life. It’s the thing that so fulfills you that, if you knew what it was, you’d run straight toward it through brambles and fire. Life coach and bestselling author of Finding Your Own North Star Martha Beck guides you to find out how you got to where you are now and what you should do next, with clear instructions on tapping into the deep, wordless knowledge you carry in your body and soul. You probably have sensed that you have a higher calling and a quiet power that could change the world—you lack only the tools. With her sparkling prose, Beck draws from ancient wisdom and modern science to help you consciously tap into that power and develop those tools for transformation*. * You’ll also find your inner identity and your external “tribe” of like-minded people, experience the spark of inspiration, and take action to make a lasting impact on the world.